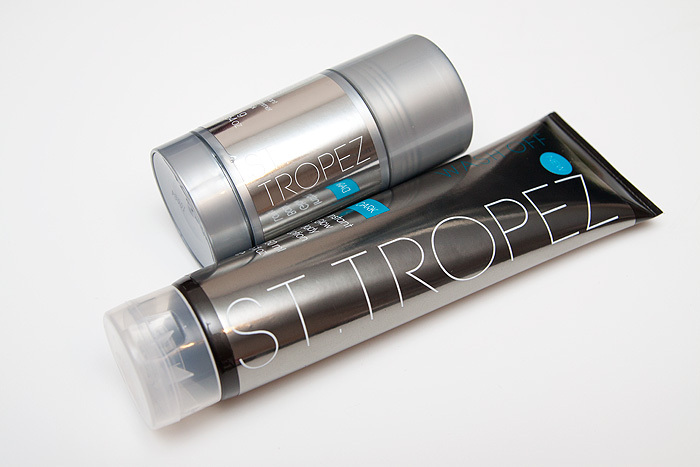 St Tropez Instant Glow Body Lotion (£12.00) is suitable for all skin tones and will give you an instant glow that washes off easily with soap and water when you want to return to your more Wintery self! The other prize up for grabs is a St. Tropez Instant Shimmer Stick (£15.00) which promises to impart a beautiful bronzed shimmer wherever you apply. Leave a comment to enter. Giveaway closes at 23:59GMT on 17th January. Not too sad I’m not eligibile – never need to fake my tan! Good luck to all the UK girls though! I agree with Emily that this seems like a more managable way to develop a tan – big plus in my book! Would love to be entered please Thank you! Not eligible, though possibly not a bad thing, not sure I’m the fake tan kind of person! Not eligible! Though I’m sure in this -30 weather, I don’t need another thing reminding me of how cold it is XD So enter me for most dedicated please! Body glow is exactly what I need right now!! ;)) Yes, please! Not eligible but good luck to those who are! Keep on forgetting to enter all these lovely giveaways! Not eligible but I’m brown so no tan is ok! Good luck ladies of the UK! Enter me for “most dedicated.” please! Enter me please! I’m in the uk and pasty White! Lol! A wash off tan I haven’t tried yet in my quest to no longer be the pastiest girl I know? Enter me please! I actually bought a summer dress yesterday in the topshop sale so I now need this! I can’t win the price, but I wished I could! Amazing give away (seem to have forgotten about this one during the advent give away). I was only thinking the other day that my pasty skin could use some help and wondered whether some St Tropez would be too dark for me at this time of year. I don’t want to look as though I’ve spent a month on a beach somewhere! Enter me please. New baby keeping me up all night! This might help a bit. i am not counted to win this prize because i am not in the country . Enter me please, I definitely need a glow in this awful weather! My holiday tan is already fading, this would certainly help! ould love to win these as haven’t tried much from st tropez! Please enter me. Poland in January does not constitute a holiday tan! I’m not eligible! Entering for most dedicated! Would love to win these, enter me please. hehe, a great way to look like you’ve seen some sun, when in reality, the closest you’ve gotten to it is seeing it via hollywood movies! i’ve been meaning to try fake tan for so long, please enter me! Enter me please- I could definitely do with some bronzing, I’m ghostly pale at the moment!! I’m black, lol. The shimmer stick looks pretty cool though, perhaps as a highlighter? Just what I need for winter! I’m practically see-through at the moment!! !